The planet’s premier MMA promotion has added a heavyweight shootout between Stefan Struve (Pictured) and Mark Hunt to their UFC 146 roster. The main card for the May 26th extravaganza will feature only 265-pound affairs. 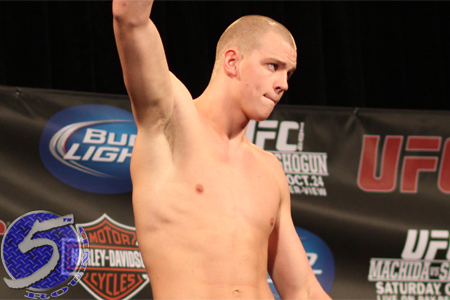 Struve will be riding a two-fight winning streak into the matchup. “The Skyscraper” has rattled off victories in four of his last five outings. Hunt owns a mediocre 8-7 professional record, but it’s the baddest 8-7 mark known to mankind. After getting submitted by Sean McCorkle in his Octagon debut, the 37-year-old has managed to win three consecutive scraps. Shane Del Rosario vs. Gabriel Gonzaga, Roy Nelson vs. Antonio “Bigfoot” Silva and Cain Velasquez vs. Frank Mir round out the event’s five showcase fights.